Chapter meetings should not be feared by the entire membership because of their content or the time commitment. When handled effectively, general meetings should be kept within an hour and achieve everything a chapter/colony needs to succeed, leaving members feeling informed and energized. As with all of our resource guides, we do not mean to erase a group’s ability to execute meetings based on their own experiences and past methods. This guide is simply meant to cut out the unnecessary, tedious portions of your meetings while not sacrificing any of the important content. 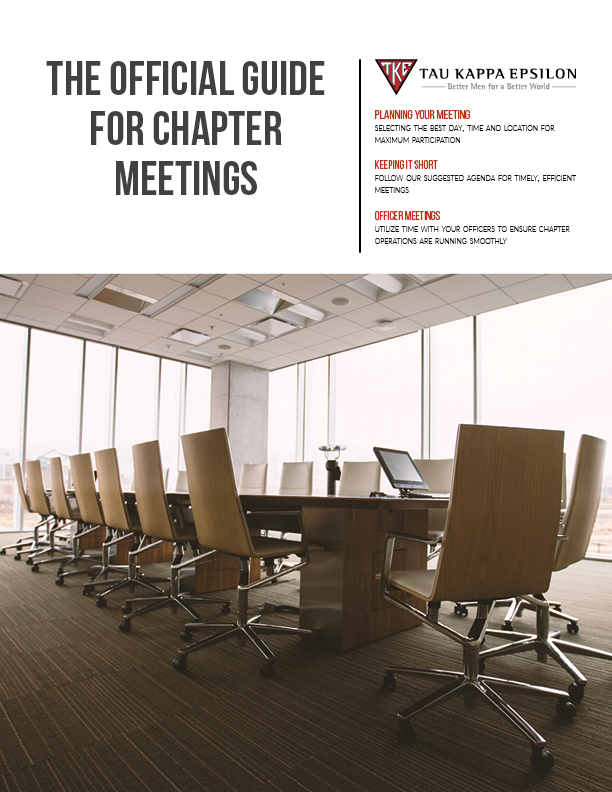 Click the image below to download "The Official Guide for Chapter Meetings"